Is there anything better than a filling, fiber-rich breakfast? How about one that only takes 5 minutes to make and can be made the night before? 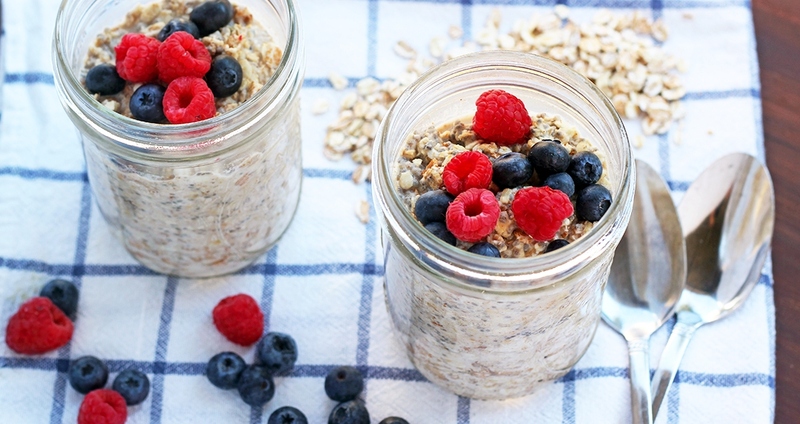 This 3-Ingredient Easy Overnight Oats recipe is a wonderful way to start your day! Feel free to add berries, chopped nuts or a nut butter of choice if desired. Add ingredients to a Mason jar or small bowl and mix well to combine. Put in the refrigerator and let sit overnight. Enjoy for breakfast!